Work hard and you will succeed. Getting the research ball rolling to publish frequently is a matter of working hard, and also knowing better what publishers expect. 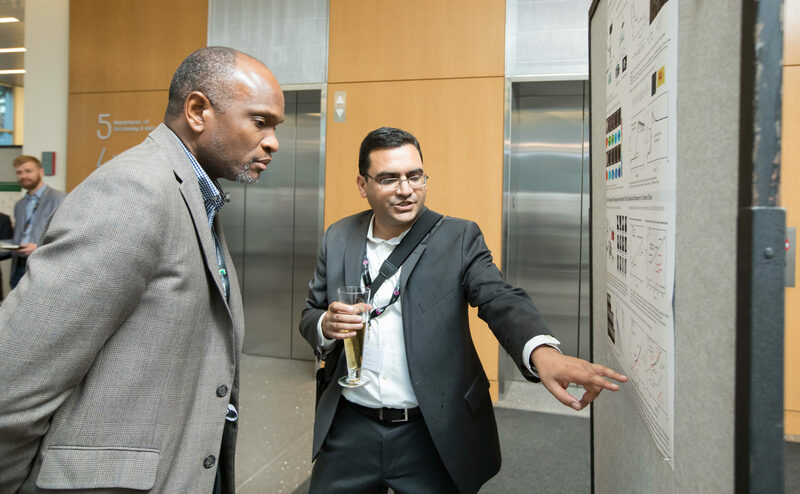 Research is a global “business” and we will only progress scientifically in every corner of the world if we connect. As a scientist, there are many components to the game of your career. You have to teach, get students, make reports, sustain your lab, progress in the career, get involved with global problems, solve bureaucratic issues and make yourself knowledgeable. How to do all of that? We can improve various aspects when you publish and make the world recognize what you are doing. Then you will connect globally, you will have greater ideas and see the world that is full of opportunities, where openness is key. 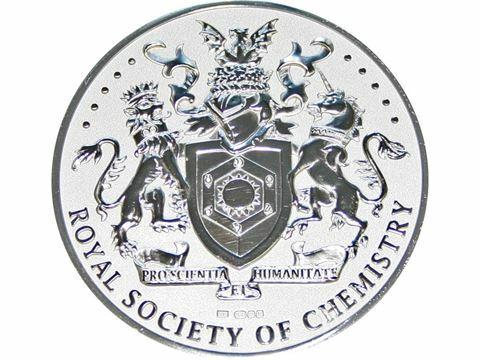 The Royal Society of Chemistry wants to help every researcher in the world get a better understanding of our publishing process. 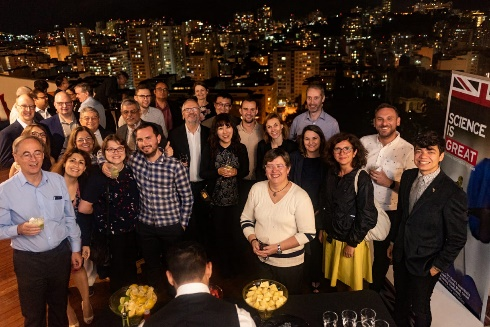 Having this in mind, we have collaborated with the British Council in Brazil since 2015 to add inside information from a publisher point-of-view into their Researcher Connect program, sponsored by Newton Fund Brazil. We wanted to unlock the door to publishing for Brazilian researchers: the strategy involves me, Dr. Beth Magalhães, Manager of Publishing in Brazil based in São Paulo, and Dr. Jen Griffiths, the Editorial Development Manager for the Americas from the RSC’s Washington, DC office, traveling together around this big country and getting to know the different cultures and facilities that carry on the nation’s high-quality research. This year especially, we included our tour in the Brazil-UK Year of Science and Innovation agenda. “Science is GREAT“ is a motto for the year, and this aligns with the idea behind what we proposed: spending a whole day giving a series of four totally hands-on workshops for up-and-coming researchers to improve their publishing, presenting, and reviewing skills as scientists. 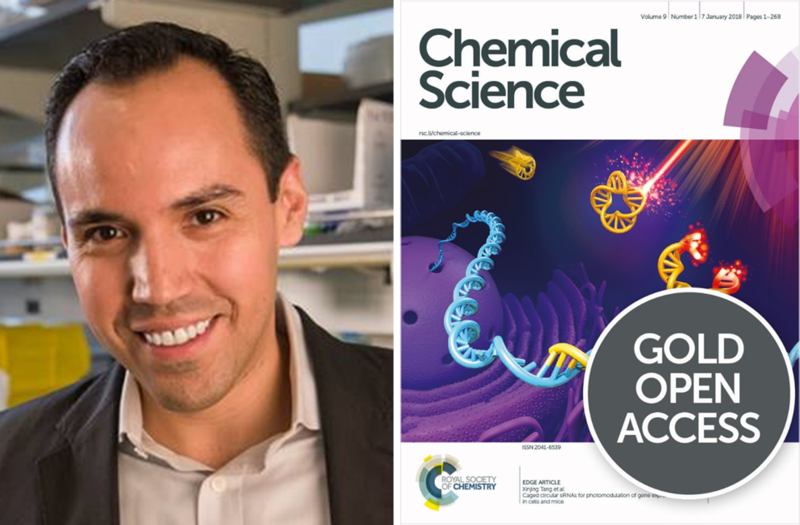 We named it Science Connect, because more than just publishing numbers and volume, we want people to engage across their community and internationally. On February 7th, we headed to Alfenas, in the Brazilian state of Minas Gerais, and to the Universidade Federal de Alfenas (UNIFAL). UNIFAL received us with a full house of chemists and pharmacists. We had professors, post-docs, MSc and PhD students all present. 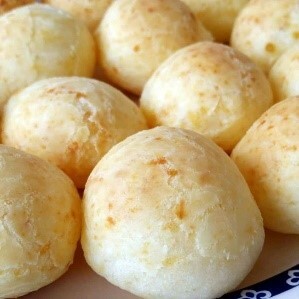 Minas has a unique and vibrant atmosphere, being well known for the good food and especially, the coffee and pão de queijo, a popular signature dish of bite-sized cheese-balls. We had the support of Prof. Dr. Vanessa Boralli and we were happy that the audience was really involved and talkative throughout. Group photo at UNIFAL with RSC trainers. 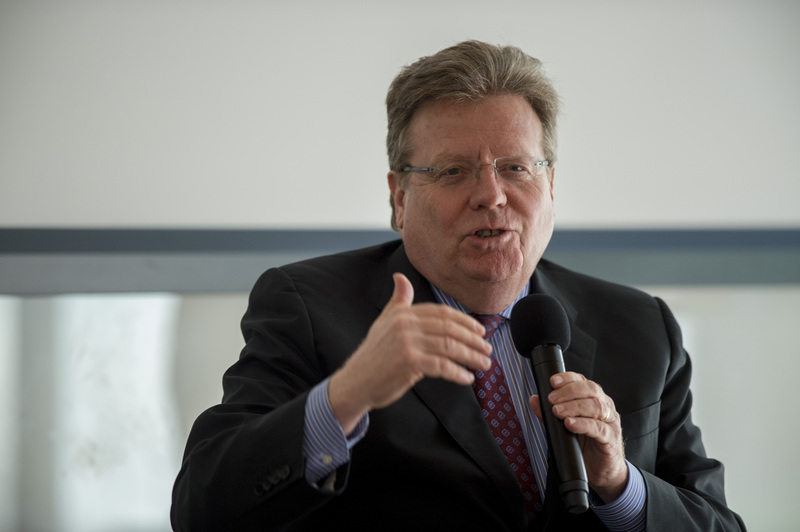 Then we flew to Teresina, and what a surprise: we were received by Prof. Francisco Guedes, the President of Fundação de Amparo à Pesquisa do Estado do Piauí (FAPEPI), which is the Piauí State Funding Agency that highlighted our program in their newsletter. 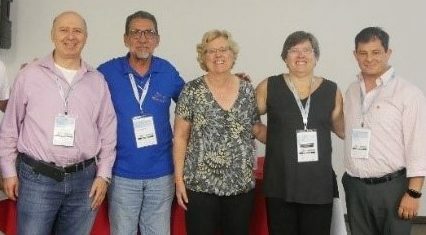 Prof. Beatriz Rodrigues, head of the international office of Universidade Federal do Piauí (UFPI) gave us a warm welcome to the campus, where on February 11th, we held an exciting workshop; together with a varied group of attendees, people were able to talk with us in a relaxed and casual setting. Teresina is located in the far Northeast, and having someone from abroad garnered attention from the locals, who are warm and highly curious about anything. 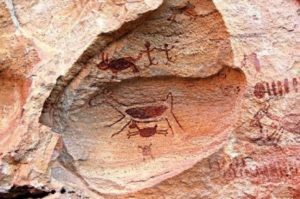 The Serra da Capivara National Park nearby is quite famous for its prehistoric rock paintings which have inspired the local art craft. The weather is hot and humid, and we could feel how proud the locals are of their home, histories and of course the lunch break. By lunchtime it was making total sense why most people stop anything they are doing between 12 and 2 pm, in order to get away from the heat. Group photo at UFPI with RSC trainers. Finally, on February 14th, we went from Teresina to Curitiba, heading then to Ponta Grossa. This region is full of soya farms, making the region very attractive for work opportunities. The Universidade Estadual de Ponta Grossa organized a nice event inside their Astronomy building. Prof. Dr. Jarem Garcia from the Chemistry department put together a nice mix of students and professors to mingle with us and one another. 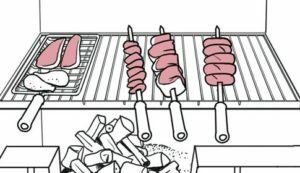 We were surrounded by the beautiful nature of Vila Velha Park and couldn’t resist sampling the local churrasco, giving us the opportunity to experience the renowned barbecue meat that fills the region. Group photo at UEPG with RSC trainers. The workshop was filled with opportunities for attendees to talk about their work and gain presenting experience to improve their oral communication skills. They also trained, in a hands-on mode, in identifying a good abstract and title and to improve and optimize their own, and how important is to formulate a cover letter to call attention to your work. 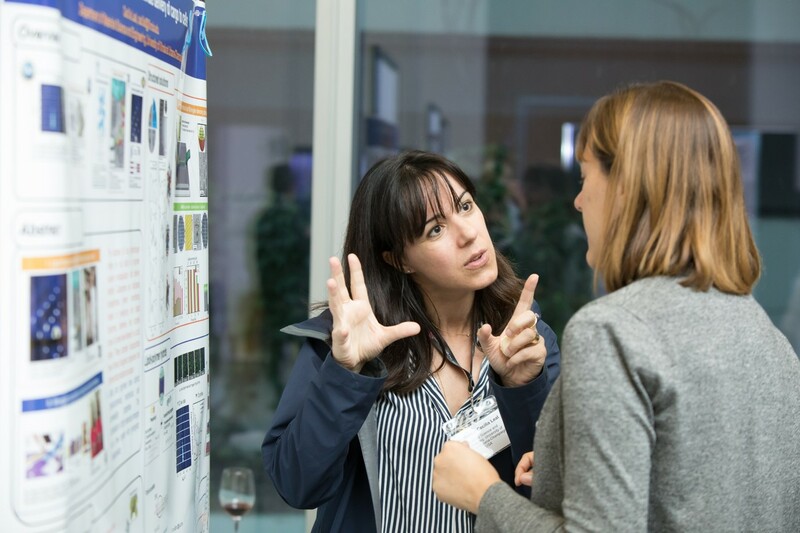 Towards the end of the day, posters were discussed in a more informal way, especially to explore how keeping it simple is typically better; attendees also had the opportunity to self-critique and constructively critique peers . 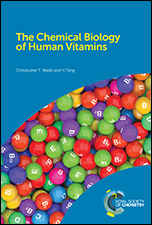 Communicating science through writing, talking, and displaying while increasing personal impact have to be straightforward and thoughtful. Preparation is essential, training is important and persisting is even more crucial. With these keys, we are sure to be rewarded for our hard work; even if the voyage to be taken will be very long, we are willing to pay the price as we did, covering more than 6,700 km, not only for science but also the joys of cheese balls, geology signs and churrasco that come with the journey! Have You Ever Been to Bahia? BMOS Went and So Should You! Brazil is a country made up of states that are sometime more like individual countries. 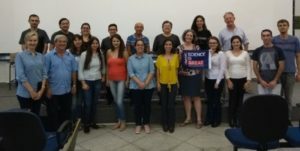 Bahia state, Salvador city, has a different atmosphere, and being away from the usual southwest area gives the science community different opportunities for interaction. 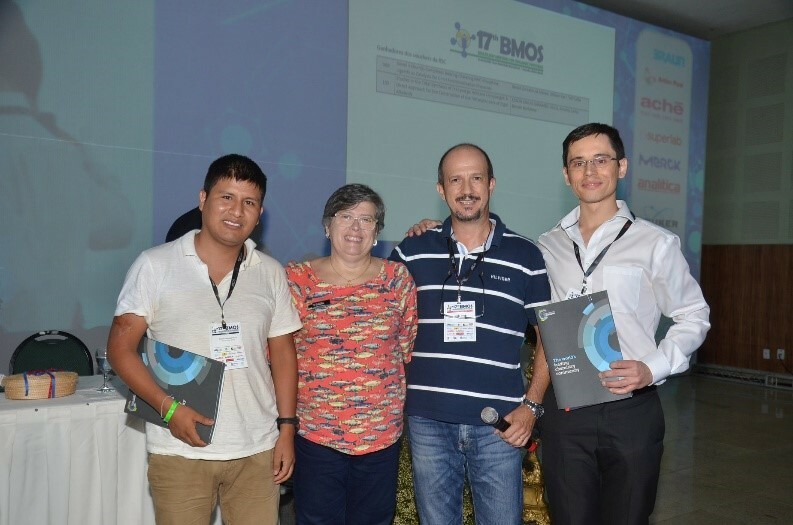 The Brazilian soul was there in Salvador, as well our historical beginning as a country, as the most prestigious Organic Synthesis Meeting in Brazil, 17th BMOS, supported by the Federal University of Bahia-UFBA was held there this year. 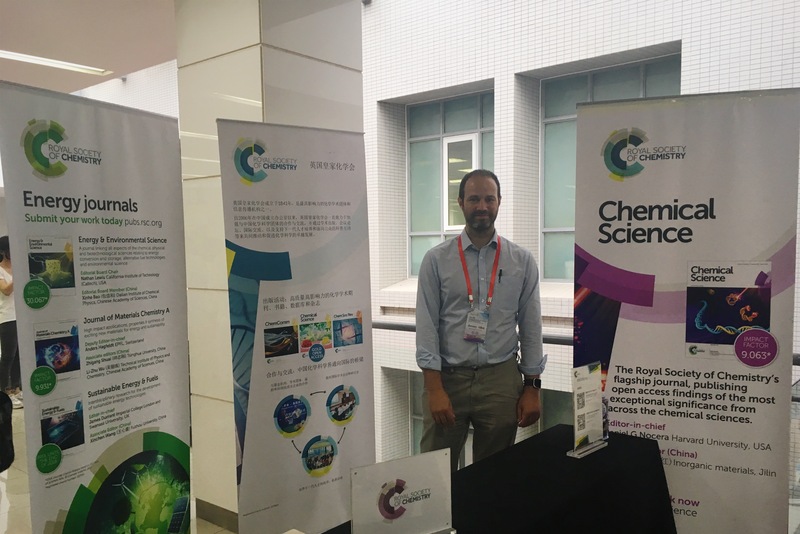 The RSC Organic Division had a long lasting engagement with the organic synthesis community, organizing the Young Investigator Award in the past. 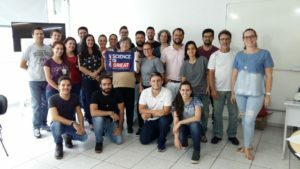 Because the RSC has a close relationship with the Science and Innovation Network in Brazil (SIN Brazil), we included the 17th BMOS in the 2018-2019 UK-Brazil Year of Science and Innovation, which we have embraced with them from the beginning. It was a big opportunity for us to keep the award alive. 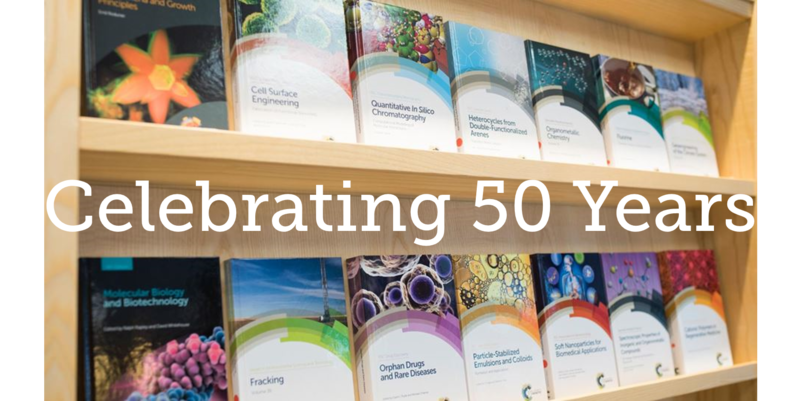 After a rebranding, the award was renamed BMOS-RSC Young Investigator Distinction, and captured the support of the GREAT campaign associated with the Year. Opening ceremony for the Young Investigator Distinctions, featuring Rui Lopes (Sin Deputy Director), Elizabeth Magalhaes (RSC Manager in Brazil) and Maurício Victor (17th BMOS Chair). 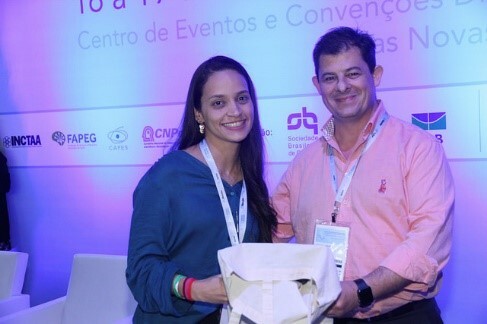 With this encouragement, we were able to offer four prizes, two each for young UK and Brazilian researchers, following early career request selection criteria. 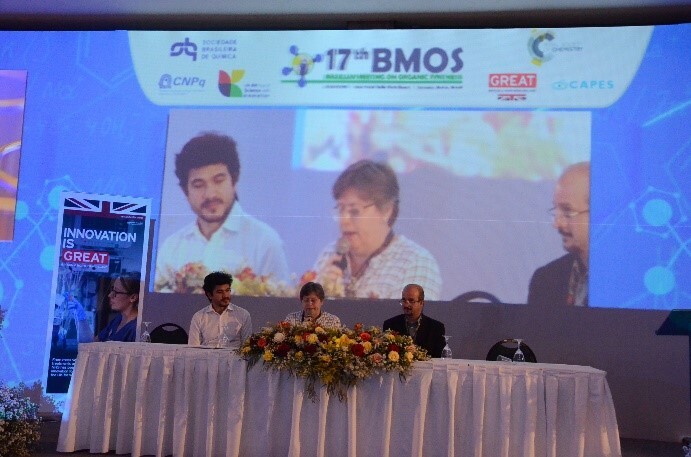 The BMOS organization made a huge celebration for that, and we had a whole slot in the event to talk about the importance of UK collaborations, the importance of internationalization and exposition of early career researchers. 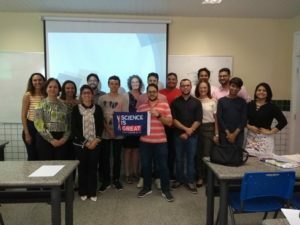 One of the criteria for the selection was a collaboration statement between UK and Brazil researchers. We were able to show the Year launching video celebrating UK-Brazil collaboration efforts through the years. The video clearly highlights that collaborations truly make better science. 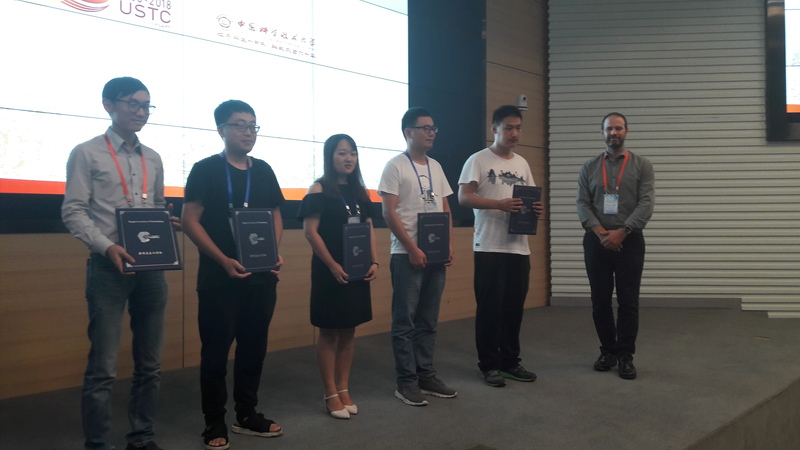 The selected awardees received a certificate from Prof Jonathan Clayden beforehand, and had a slot to talk about their current research work. 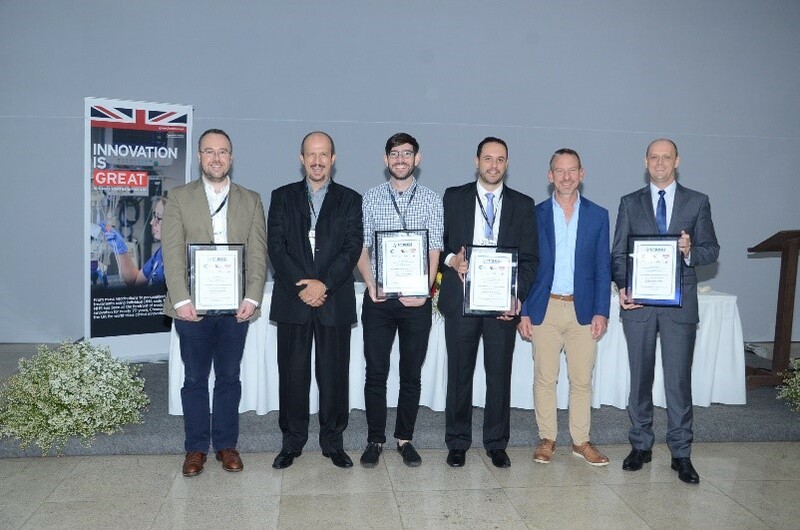 Andrew L. Lawrance (The University of Edinburgh, UK), Mauricio Victor, Stephen P Thomas (The University of Edinburgh, UK), Giovanni W. Amarante (Universidade Federal de Juiz de Fora, Brazil), Jonathan Clayden and Diogo S. Ludtke (Universidade Federal do Rio Grande do Sul, Brazil) presenting their certificates the BMOS-RSC Young Investigator Distinction ceremony. 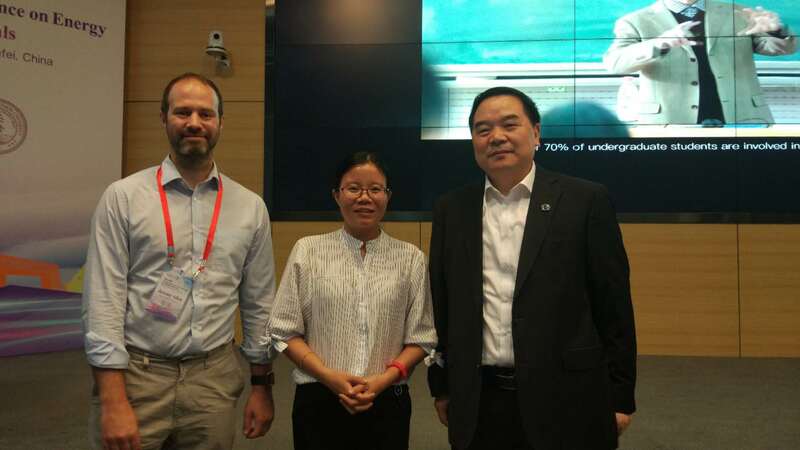 Prof Jonathan Clayden (University of Bristol, UK) was our star at the meeting. 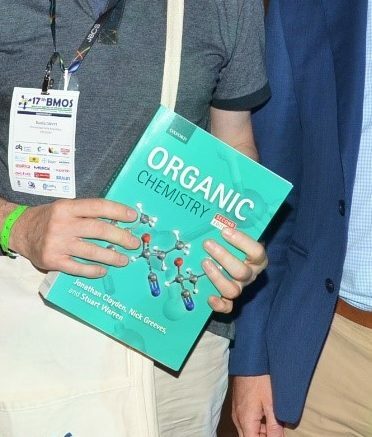 He came to give a closing talk after the awardees presentations, and he was available during the entire meeting to sign his famous, prestigious and landmark book, “Organic Chemistry”. Prof. Jonathan Clayden gives the closing talk at BMOS 2019. 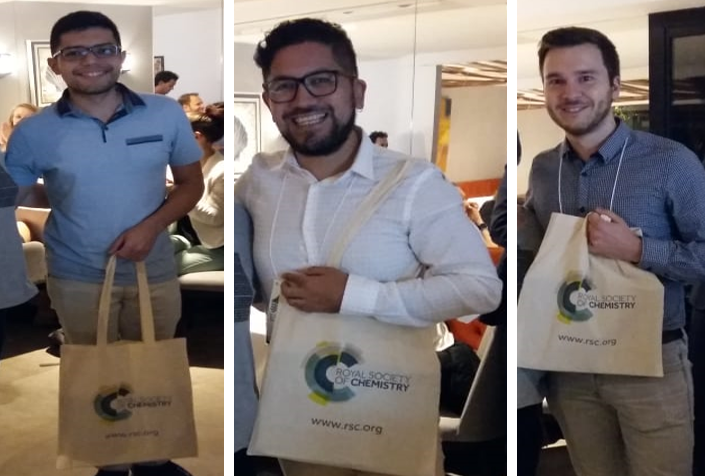 Finally, at the closing ceremony two PhD students, Edson Emilio Garambel Vilca and Renoto Zarzotto de Marais, were awarded RSC poster prizes from ChemComm and Organic & Biomolecular Chemistry by for their presentations. Edson Emilio Garambel Vilca (and Antonio Carlos Bender Burtoloso), Elizabeth Magalhaes, Mauricio Victor and Renato Zorzatto de Morais (and William Kerr, Tell Tuttle) for the titles Studies in the Total Synthesis of (+)-Lysergic Acid and (+)-Lysergol: A Direct Approach for the Construction of the Tetracyclic core of Ergot Alkaloids and Novel Iridium(I) Complexes Bearing Chelating NHC-Phosphine Ligands as Catalysts for C—H Functionalisation Processes, respectively at the poster prize ceremony receiving ChemComm and OrgBiomolecularChem book vouchers and certificates. 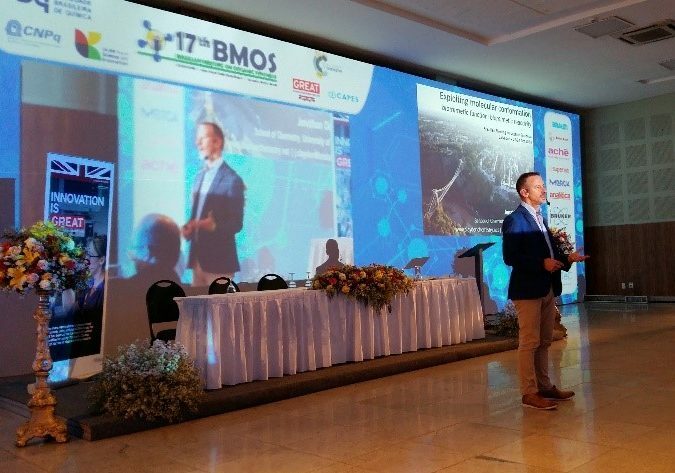 This year, the 17th BMOS in Bahia was another great opportunity for the RSC to engage with the Brazilian community and collaborate with the Brazilian Chemical Society and the British Council for the UK-Brazil Year of Science and Innovation. 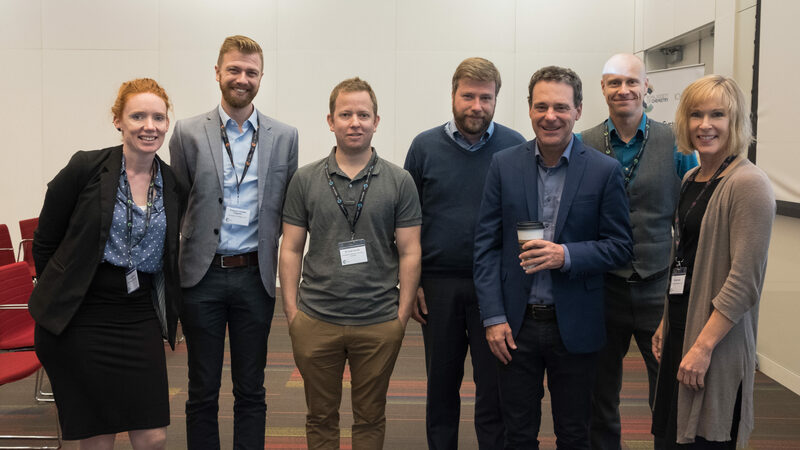 We look forward to more opportunities to bring together researchers from diverse, international backgrounds and highlight the high quality research in Latin America to the world! 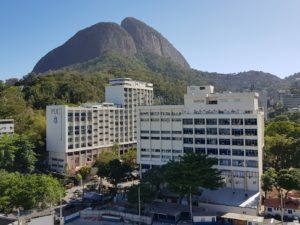 The VIII Workshop in Microfluidics took place July 18-20 2018 at PUC-Rio in Rio de Janeiro, Brazil. 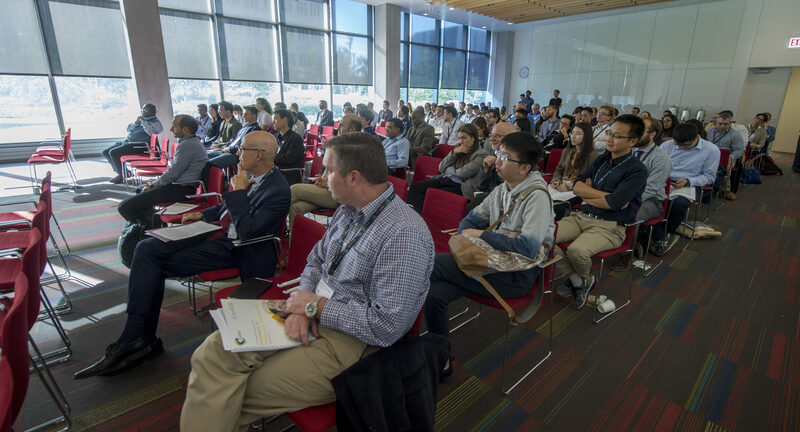 The event was held in conjunction with the I Brazil-Argentina Microfluidics Congress, an initiative of the Brazilian and Argentinian scientific community. RSC has been supporting the event since 2012. It has been growing in size and quality. 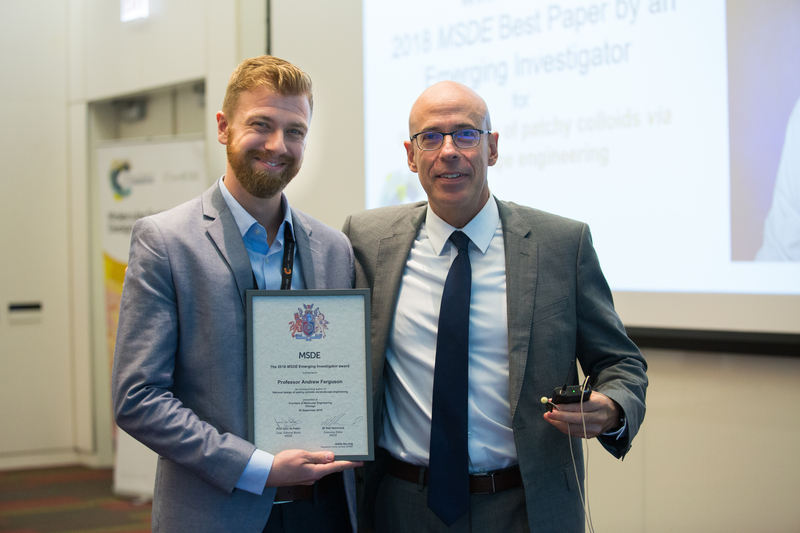 The RSC was proud to award a prize from our journals Analyst, Analytical Methods and Lab-on-a-Chip for the best oral presentation selected from the posters. An RSC Book voucher and certificate were awarded to Ricardo A. G. Oliveira (CNPEM – LNNANO, Brazil) for the work entitled Microfluidic Electrical Double Layer Capillary Capacitors (μEDLC): a Low-Cost, Mass-Production Manufacturing, and High Analytical Performance Sensor for Nanomaterial Quality Control and Cancer Label-Free Diagnosis. 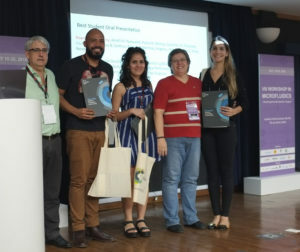 Also, two honorable-mention poster prizes from Chemistry World went to Nicolle Miranda de Lima (PUC-Rio, Brazil) and Magalí Mercuri (CNEA – Argentina) who received electronic subscriptions to the magazine. 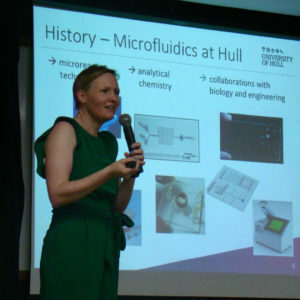 PUC-Rio in Rio de Janeiro, has a strong Engineering program, in which the LPMM-Laboratory of Microhydrodynamics and Flow in Porous Media laboratory working on Microfluidics is located. Prof Dr Marcio S Carvalho leads a research program on the free surface flows of complex liquids in microscale that occur in different situations.